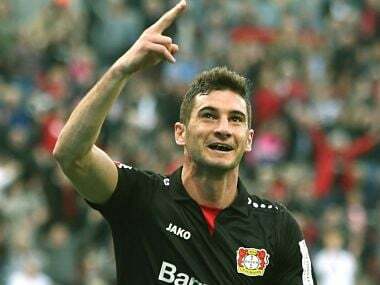 Berlin: Lucas Alario scored on his German league debut in Bayer Leverkusen's 3-0 win at home to Hamburg on Sunday, nearly a month after the Argentina striker first signed. 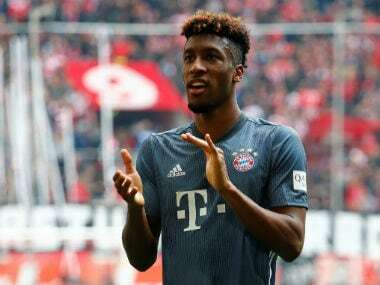 The 24-year-old hit the net in the 23rd minute as his side went 2-0 up after Kevin Volland had opened the scoring for the hosts at the BayArena with Jamaica winger Leon Bailey setting up both goals. Alario has been brought into replace Javier Hernandez after 'Chicharito' left Leverkusen to join West Ham before the start of the season. Alario signed on 31 August from River Plate for €19 million ($22.7m), but legal wranglings over his contract delayed his debut and Leverkusen only got permission by FIFA to play him on Friday. Volland opened the scoring after chesting down and slamming his shot home on 20 minutes. Alario doubled the damage three minutes later when he converted Bailey's pin-point accurate cross. Volland added his second and Leverkusen's third on 83 minutes after Alario laid the ball off to him to cap a dream debut. The points lift Leverkusen up to 10th while Hamburg are 15th, just above the relegation zone. 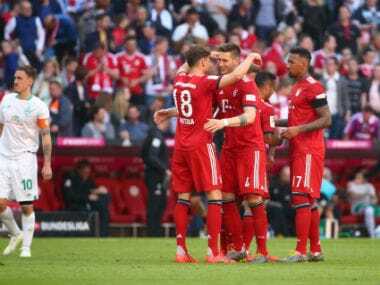 Earlier, Hanover 96 were held to a goalless draw at home by Bundesliga bottom side Cologne to leave defending champions Bayern Munich third after their shock draw with Wolfsburg on Friday. Cologne picked up their first point in six games by containing Hanover, who dominated possession but could not break the deadlock. Japan forward Yuya Osako and defender Lukas Kluenter had chances for Cologne while Niklas Fuellkrug missed a good opportunity at the other end for Hanover. The result means Hanover stay fourth in the table, missing the chance to climb above Bayern, who threw away a two-goal lead in Friday's 2-2 draw in Munich against Wolfsburg. Borussia Dortmund are two points clear at the top after their 6-1 rout of Borussia Moenchengladbach on Saturday when Pierre-Emerick Aubameyang scored a hat-trick. The pressure is growing on Cologne coach Peter Stoeger, who steered them to promotion from the second division in 2013-14 to finish fifth last season. His team has now scored just one goal and taken one point in their first six league games. "We got a point and we're happy with that," said Cologne defender Frederik Sorensen. "We need to start scoring goals, though we can't survive without them. "But we're fighting every game, and we'll see how far we get."